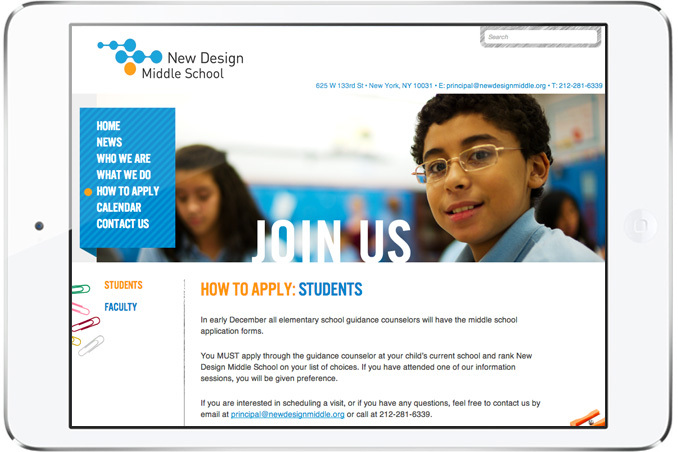 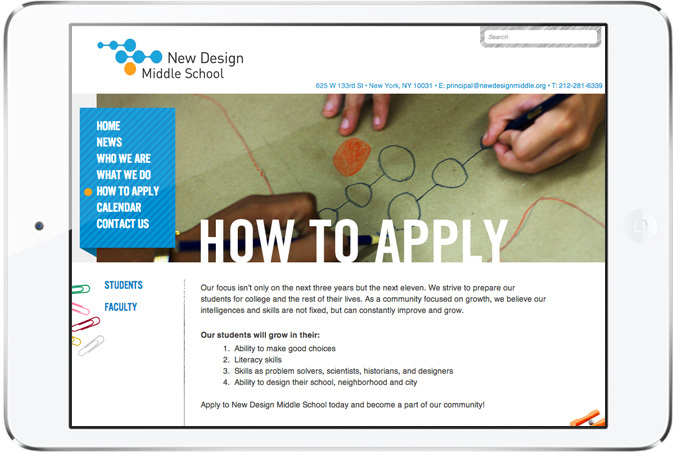 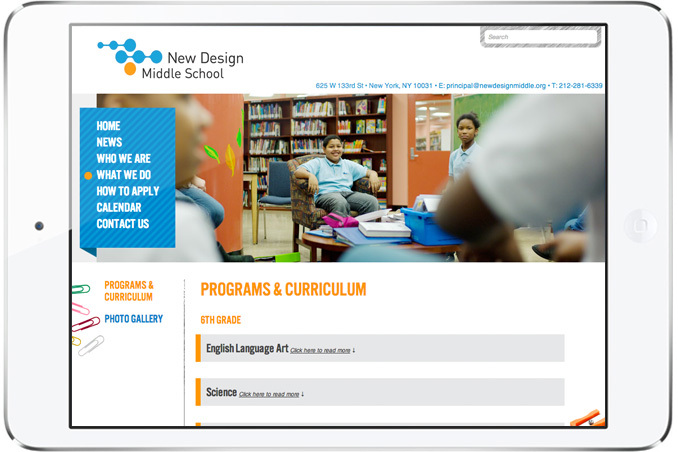 Our love for NYC and the power of creativity shined through when building the website for New Design Middle School, a charter school built on the belief that studying design helps students develop strong academic, social and emotional skills. 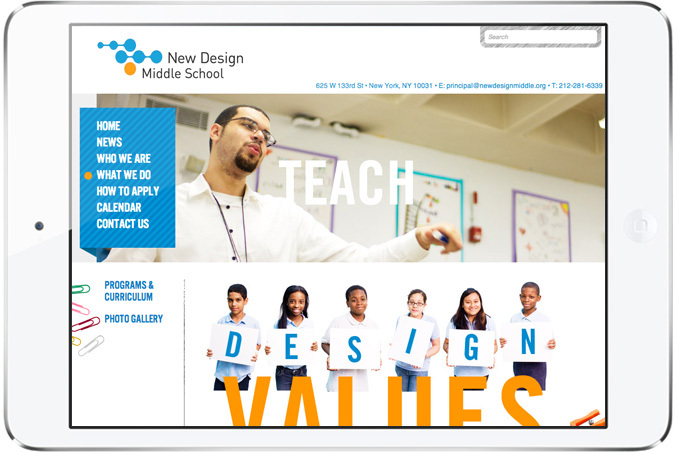 We were honored to showcase the school’s innovative programs and chose to highlight the young minds that made the school so special. 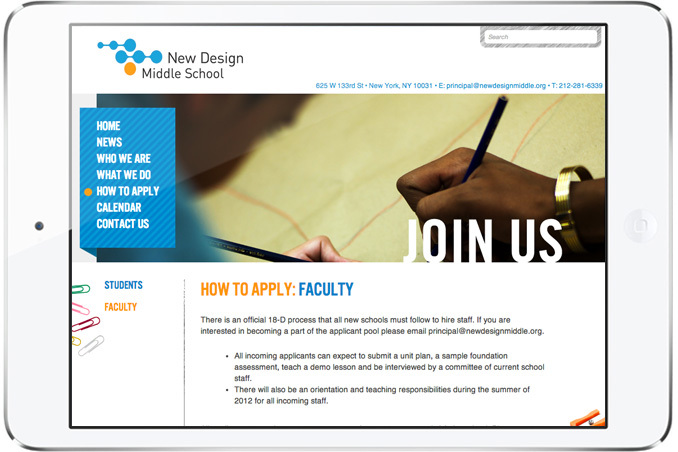 By providing a tool that allowed the school to connect and communicate with parents and prospective students, we helped spread the word about this niche in the education industry while communicating what the school and kids were all about. 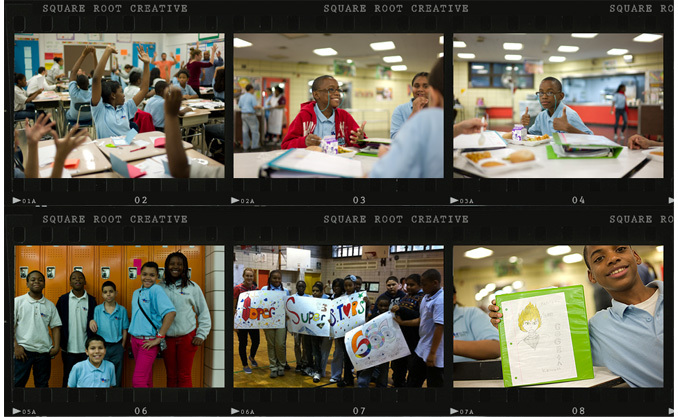 © 2019 SQUARE ROOT CREATIVE INC. ALL RIGHTS RESERVED.